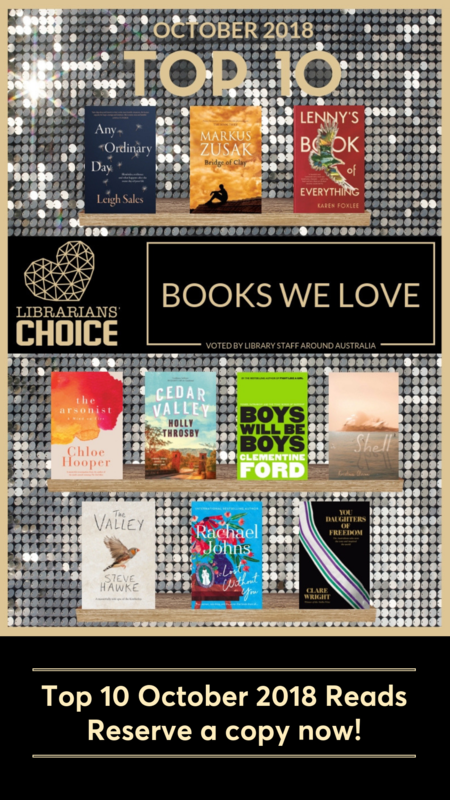 It’s that time of the month – the top 10 reads of upcoming books as chosen by Library Staff around Australia. Why not reserve a copy now? This entry was posted in Australian Authors, Fiction, New Arrivals, Non Fiction, Recommended Reading, Staff Favourites and tagged Staff picks by Parra Reader. Bookmark the permalink.